Given China’s and Russia’s rapidly increasing military abilities, it is not surprising to see Trump pushing for an increase in the Defense budget. With the 4.9% proposed increase, the fiscal year 2020 defense budget tips in at a hefty $718 billion (including $164 billion in overseas contingency funds). 4.9% comes out to $33 billion for the bean counters. Some of the more interesting items tucked into the FY2020 budget include $14.1 billion for space-based investments including improvements to missile warning systems. $13.6 billion will be sunk into enhanced missile defense capabilities to hopefully protect the U.S. from newly developing hypersonic weapons. 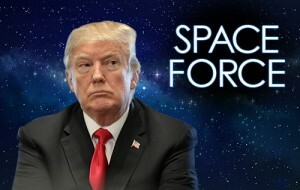 $8 billion over the next five years is being earmarked for the “Space Force”, which includes a new headquarters. $30 billion will be provided for nuclear weapons programs to several agencies including the Department of Energy. There’s $9.6 billion for cyber warfare, which includes $3.7 Billion for offensive and defensive operations, and $5.4 billion for securing networks and other systems. Artificial Intelligence also is noted in several places. Just under $1 billion is targeted for the Joint Artificial Intelligence Center and Project Maven. There also seems to be plenty of wishful thinking with many billions of dollars saved from business and process improvements, business systems improvement, policy reforms, and more efficient acquisitions. …and yes, the border wall is in there, however we all know there is plenty of political contention surrounding that “little” detail. EZGovOpps will be continuing to monitor for updates on the FY2020 budget and will be adding agency budget forecasts as they are released in the Resource Center. To access current agency forecasts, please visit this link if you are a client and currently signed in, or get started with a free five-day trial.